Question: Can your stash ever have enough fabric? We think the answer is no! The best time to stock up on some of your favorite collections or some new prints you've been longing for is during a sale! 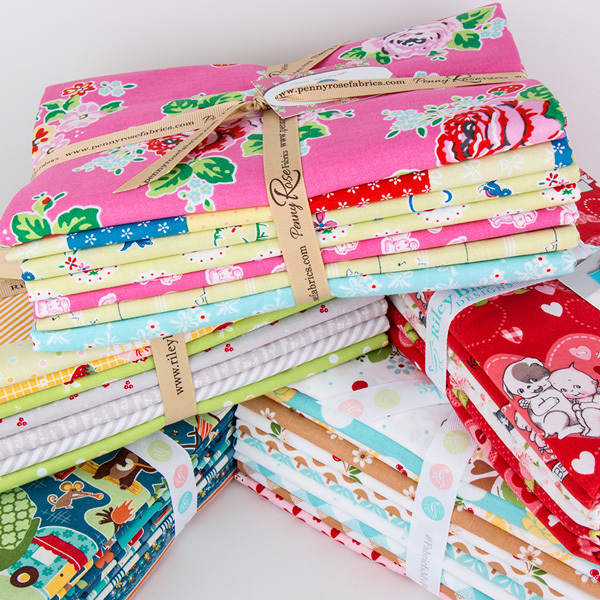 This week's Wednesday special, is 25% off of all One Yard Bundles! Be sure to use code "Yard25" at checkout to save! Not valid with other offers, one use per customer, offer expires Sunday, March 26, 2017. Did you know that we have a Wednesday special EVERY week?! That's right! Be sure to check our Facebook page every Wednesday at 11:00 a.m. CST for these deals!